My App is nowehere close to finish, but I do have a mini sample of the playlist created by the VV blog. 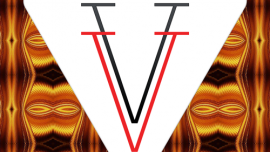 Visual Vibez is a music blog for a particular type of music genre. I started the blog two weeks ago and while exploring and sharing the blog I wanted to create a whole new way to discover music and also make it easier to look up music. I want to create a web app that wiill allow people to look up songs online and pull from youtube, soundcloud, bandcamp and other music sites and allow people to group them together to create their own playlist. I also want to make the music experience interactive, so I also would combine my expertise in mobile marketing to allow people to scan or wave their smartphone over interactive logos so people can add to their playlist and their music library. Anyone would be able to stream the music at anytime, but they would have to purchase the music to listen to the songs offline. I believe this will be a great way for msuciains to make money as well as connect and share music with people on a whole new level. I want people to be able to find the music their looking for by creating a search engine like google for music, as well as allow people to organize their music together like iTunes, but keep it as simple as Tumblr, have amazing customer service like Zappos, and share happiness similar to Coke. Rather than just read about an artist online or hear about them from the radio, people could interact with the mobile interactive logos to listen to new artist or someone's playlist and purchase/download their album or mixtape straight to their phone or itunes library. I'm going to create a new way for artist and people to share music with one another by combing my knowledge with artistic QR codes, Near Field Communication, and marketing. I'm bridging the gap between the digital and physical world, starting off with music. - People could interact with music boards to explore a new genre or artist all while waiting for the bus, train or at the airport. -The whole experience is mobile and browser friendly. -Anyone with a camera or nfc enabled phone can interact with our logos. -Artist, radio stations, and individuals could print their own codes or nfc chips as stickers, posters, etc. to spread their music or playlist.